The quotes above come from real five-star Google reviews for funeral home businesses. What’s the common factor in outstanding experiences like these? Staff members effectively communicated with client families, giving them peace of mind during difficult times and guiding them through what to expect. Families frequently cite excellent communication as a key component of their satisfaction when writing their reviews. 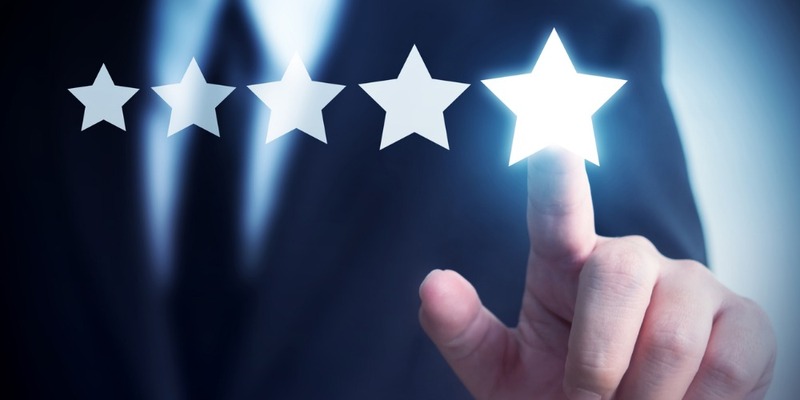 Here are six easy ways to improve the way you communicate with client families and start earning even more great reviews for your own firm. 1. Start with your team members. Better communication with your client families starts with better communication among your own staff members. That means taking an honest look at your practices for sharing information, from how your business and service processes are communicated internally (Do you have formal procedures for common tasks at your firm? Do you periodically review and train on those tasks?) to how your staff communicates when handing off tasks to another team member. Discussing ways to improve how your team communicates can reduce the potential for miscommunication with your client families. 2. Accommodate different communication preferences. Consumers’ preferences for learning about and working with businesses are changing, and that creates an opportunity to differentiate your firm as the one that meets their needs. When making decisions about a funeral service provider, some families may prefer to do research on their own before talking to a member of your staff. Ensure your website and marketing materials help guide your potential client families through this decision-making process with answers to frequently asked questions and content that explains what it’s like to work with your firm. Provide multiple options for contacting your firm – by phone, email, Messenger, etc. – and set expectations for how quickly families will receive a response when using each option. Don’t allow your own expertise to become a barrier for effective communication with families. The terminology you use may not be familiar to them, so think about which word choices may cause confusion and how you can better communicate their meaning. It might take a surprising amount of consideration to clearly communicate information without making families feel you are talking down to them, and striking the right balance is key. When explaining something to your client families – such as walking them through what to expect on the day of the funeral service – stop periodically to confirm that they understand what you’ve just shared. Think about the most common questions families have, and work those into your conversations. For example, you could say, “When we come to this part of the service, many families have questions about…” This helps develop trust in your skills and puts families at ease if they have questions of their own. We live in a distracted society and are constantly bombarded with information to process and tasks to remember. This distraction is amplified when client families are grieving the loss of a loved one and may feel overwhelmed by all of the things that need to be completed. Help reduce stress with tactful reminders about important information they need to remember. Consider offering to send text or email reminders if families prefer to communicate that way. It’s challenging to identify areas of weakness in your services without asking for feedback from client families, and that includes asking about how you communicated with them. Does your client satisfaction survey include a question related to your communication? Asking that question and sharing the insights you gather with your team can be an incredibly valuable way to prevent communication issues in the future. Helping families understand what you do and what to expect when working with you can significantly increase satisfaction and boost your brand. What are your tips for effectively communicating with families about your services? Share your thoughts in the comments below.